We read a lot of decisions, and starting next week, we’re going to share with you the one decision that most affected us that week, whether because of its precedential value, unusual fact situation, or some other unique feature. Since we’re in Manitoba, we’d like to highlight Manitoba decisions, but we’ll also consider other jurisdictions when they publish noteworthy decisions we think you should know about. Feel free to nominate your own “decision of the week”, and we’ll take it into consideration. Keeping to yesterday’s theme on Criminal Law and Impaired Driving resources, the SCC recently released a couple of decisions on driving under the influence. The full summary from Supreme Advocacy is available here. You can sign up for a free subscription to Supreme Advocacy here. Here’s the Weekly Case Law Update for September 2, 2018. In library jargon, current awareness is the process of keeping clients up to date on new issues in their area of interest. In the legal profession, that function is served by publishers of newsletters, bulletins, and newspapers. Through our subscriptions, we can provide you with topical commentary in many areas of law. Rather than list them all, I’ll start off with a general one: LawSource Case Notes. This issue’s contents include digests on Civil Practice and Procedure, Construction Law, Contracts, Criminal Law, Evidence, Family Law, Immigration and Citizenship, Insurance, Pensions, Public Law, Real Property, Remedies, and Tax. 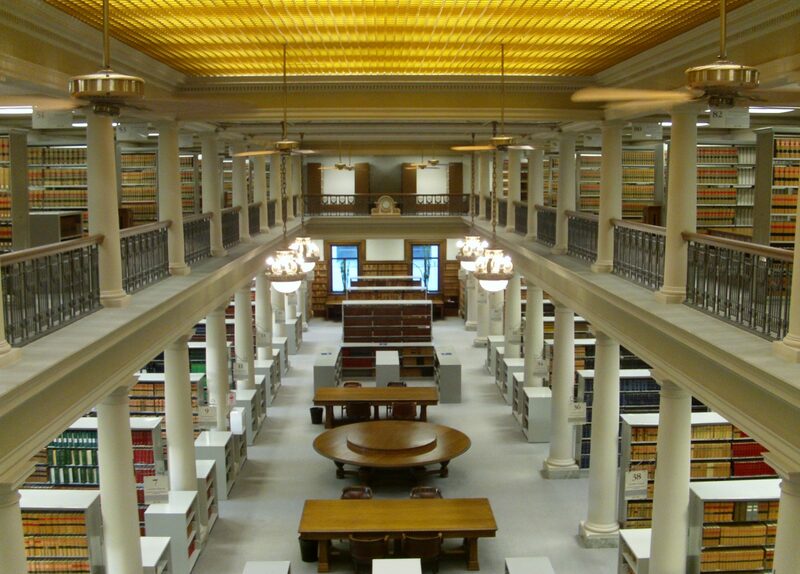 If you would like to receive LawSource Case Notes, please email us at library@lawsociety.mb.ca so we can set up a distribution list. A recent decision out of British Columbia drew attention to a novel situation: are prepaid cash cards issued by a financial institution deposit accounts? All Trans Financial Services Credit Union Limited sold prepaid Visa and Mastercards to customers, who could then use the payment cards wherever Visa and Mastercard were accepted. When the Financial Institutions Commission (FIC) investigated, they determined that this was an unauthorized deposit business, contrary to s.81 of the Financial Institutions Act. The FIC ordered All Trans to cease selling these prepaid cards within 30 days of the release of the order. All Trans appealed to the BCSC, where the order was overturned. This decision is currently under appeal. As noted in commentary by Robert Dawkins and D. Ross McGowan of Borden Ladner Gervais: Prepaid Cards: Deposit Accounts? Or Something Else? … The decision on appeal may have a significant impact on financial institutions seeking to use creative FinTech approaches to expand their reach and service offerings, as well as FinTech start-ups. Careful consideration to program design is critical to ensure that issuers and program managers structure their card products to meet the regulatory needs for their specific goals.